Last night I got really inspired to step up my blogging game. 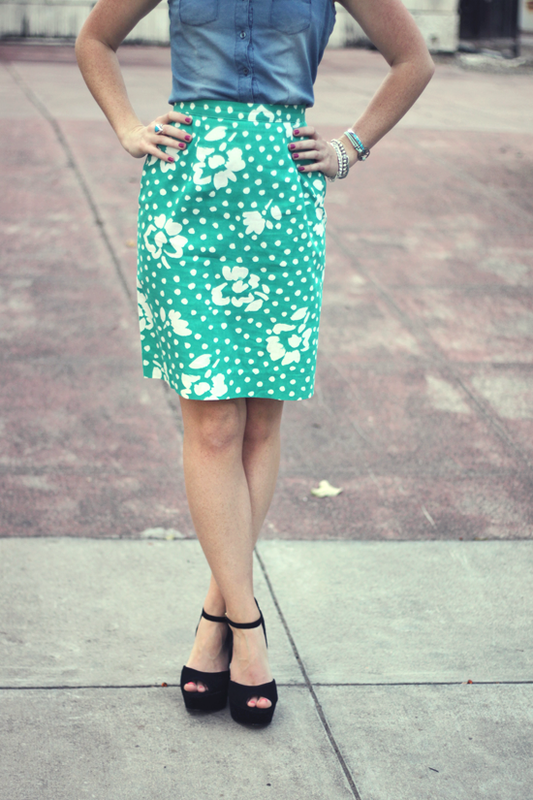 I decide to digitally sort all of the outfit photos I’ve done over the past 3 years—yes pre-blogging era too! They are broken up by color and style. 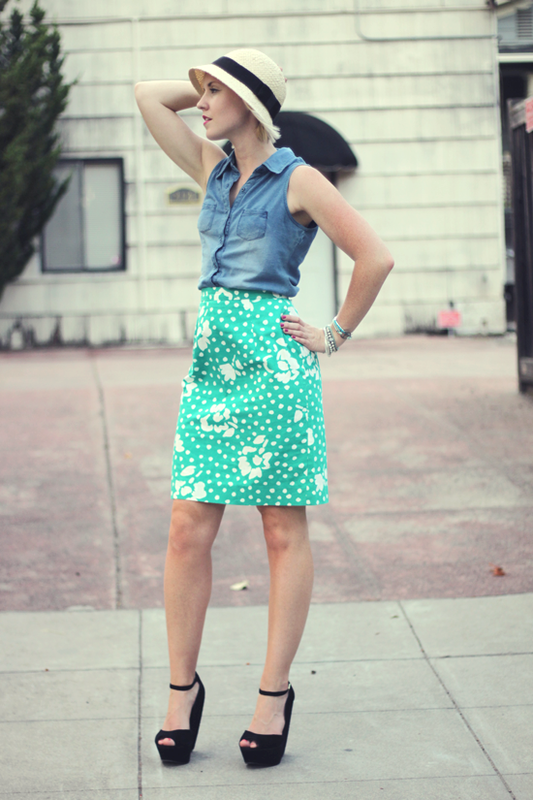 Once I got all the categories down like, “how to style army green, polka dots, denim, etc.” I uploaded each set into it’s own Facebook album. Right now, I have 10 categories and still have several more to upload. Check out the albums on Colour Me Classic’s page here. I promise you won’t be disappointed—there’s about 85 looks total! I thought this would be a fun specialized content approach available for the followers on my page. I want to eventually bring this same format over to the blog, an easy way to sift through outfits. I often forget the point of this blog is to provide inspiration and styling/remixing tips for others. I want people to be able to make the most out of their closet. One of my main passions is for resourcefullness. I never want people to come to my blog and think they’ve got to run out to the mall and buy 50 new items of clothing. No, I want to show people you can do a lot with a little. Remixing is my best friend and should be yours too! Seriously in love with this look. That first photo of you and the black cat is adorable. Ohh OMG Youure amazing!!!!! Very chic and your skirt’s so cute!!!! 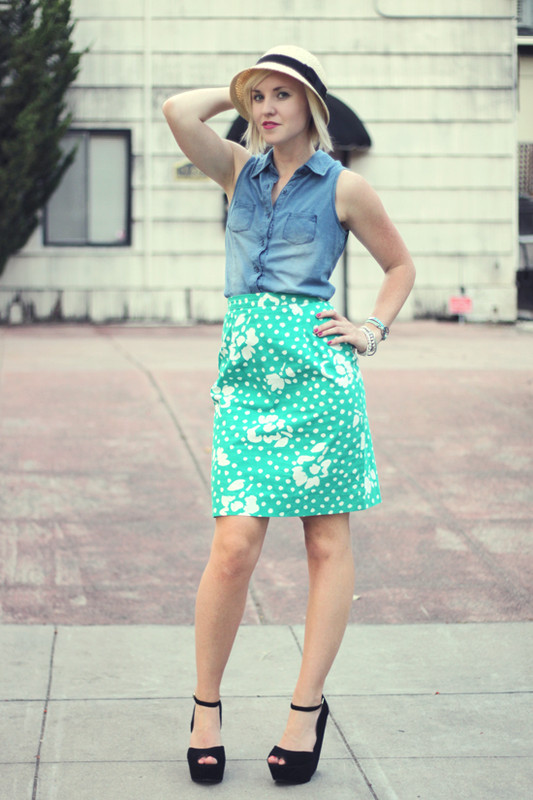 I would have never thought of a denim shirt with this skirt, but I really love it! 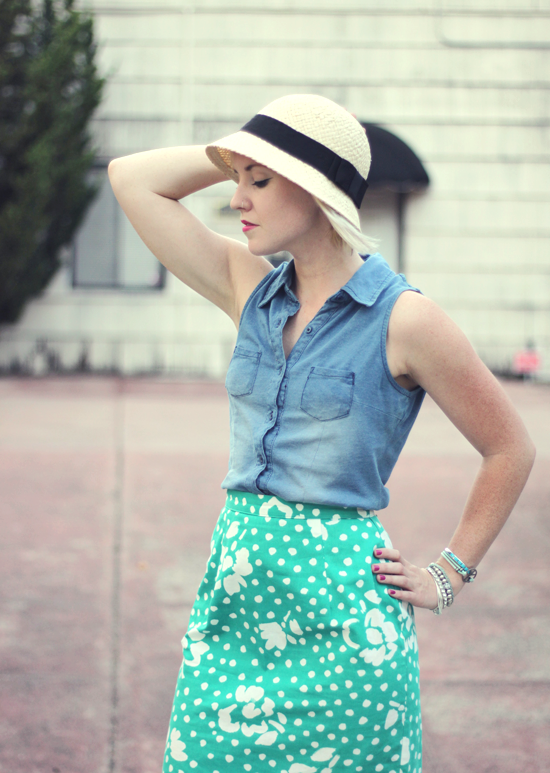 The pattern on your skirt is awesome, and oatlly love your hat! Great shoes too.